Every once and a while great things happen to great people. That is certainly the case for production duo Saison who have had an outstanding 2017 with a slew of top notch outings. Leigh Darlow and Matt Bandy are true veterans and legends in their own right – to have them joined together and on Large Music is pure kismet. 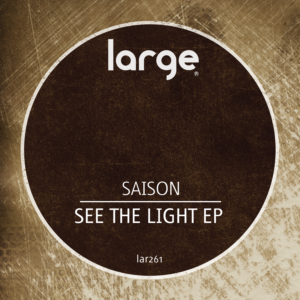 Two terrific tracks featured here and both have that unmistakable Saison vibe – solid floor-filling House music with just enough deepness to keep things real. Just great music!